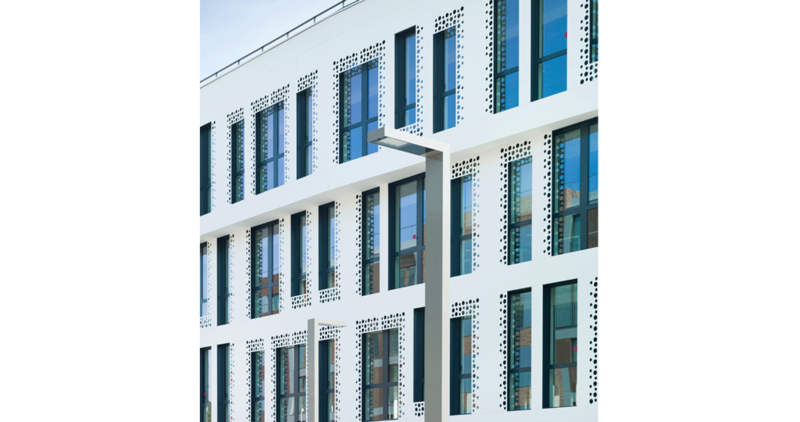 The resistance to weather conditions, along with the powerful anchoring systems, make the ventilated façades manufactured with the KRION® Solid Surface remain unaffected over the years. 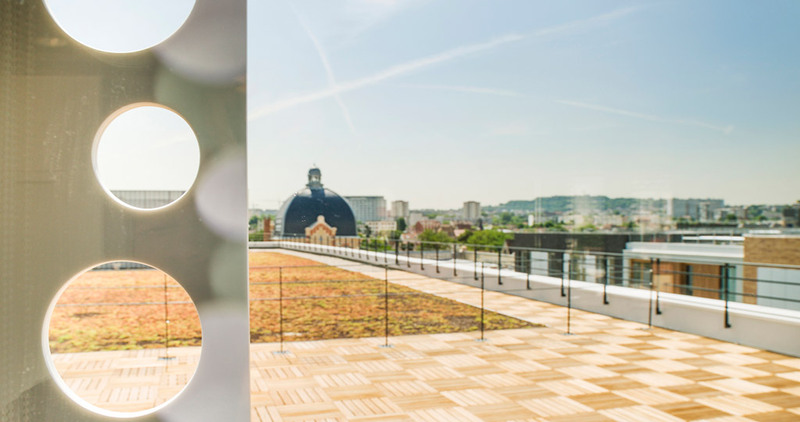 Hence, the unique Inmeuble Docteur Pierre office building, located in Nanterre, Paris, has banked on this system from the PORCELANOSA Grupo, developed jointly by Butech and Systempool. 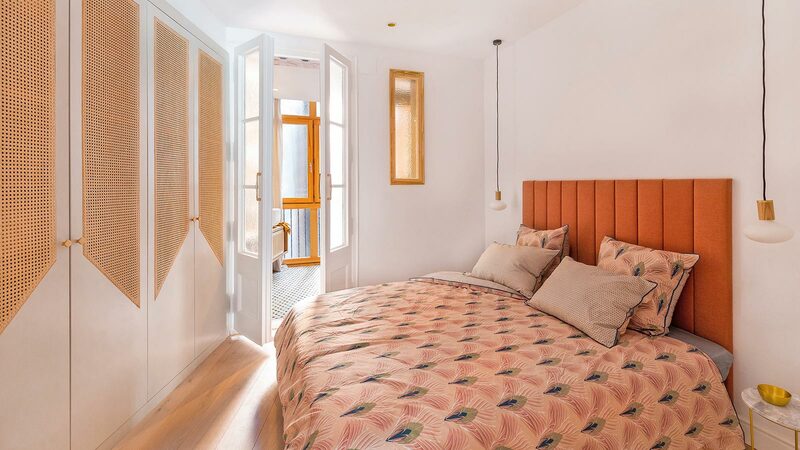 This ambitious project stands out because of its cutting-edge technology. 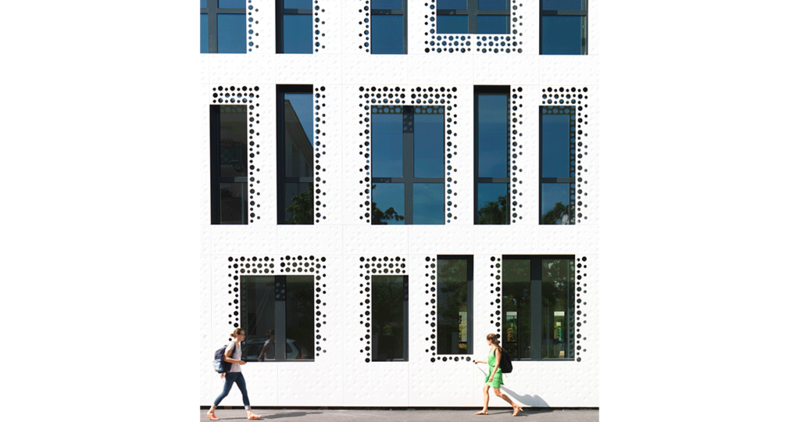 Thanks to the advanced innovative building systems by Butech, a wide ventilated façade manufactured with KRION® Solid Surface with an area of 3,660 square metres has been installed, and it stands out because of the simplicity and harmony of the shapes. 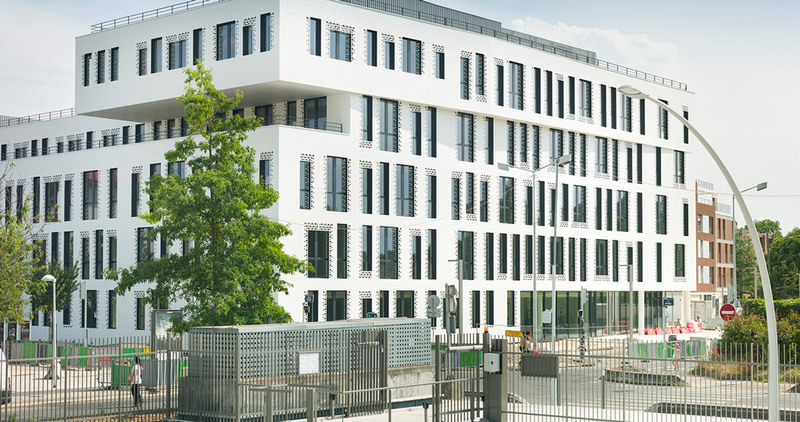 The impressive building is provided with the K-FIX building system by Butech, Avis Technique CSTB nº 02/14-1296. 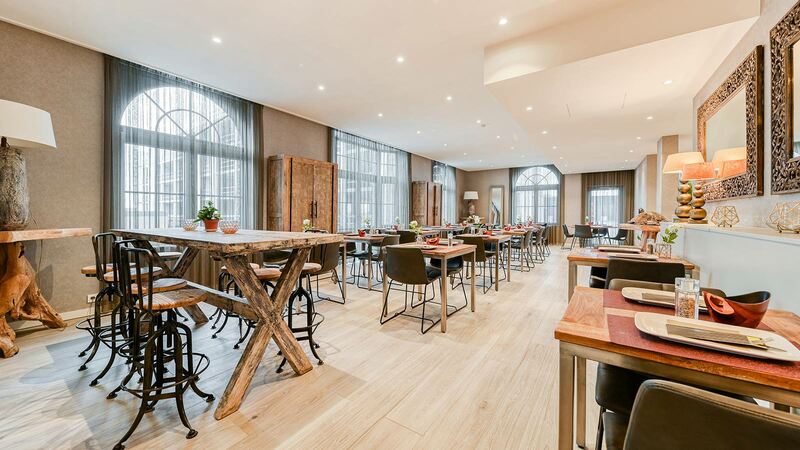 In order to complete the project designed by Reichen & Robert & Associes, the KRION® Lux 1100 by Systempool has been the choice to cover the façade. 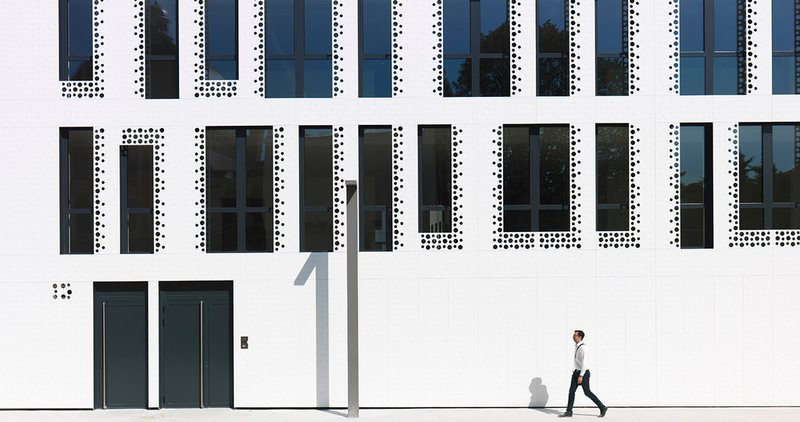 As a result, we have a façade with a high resistance to sudden weather changes. 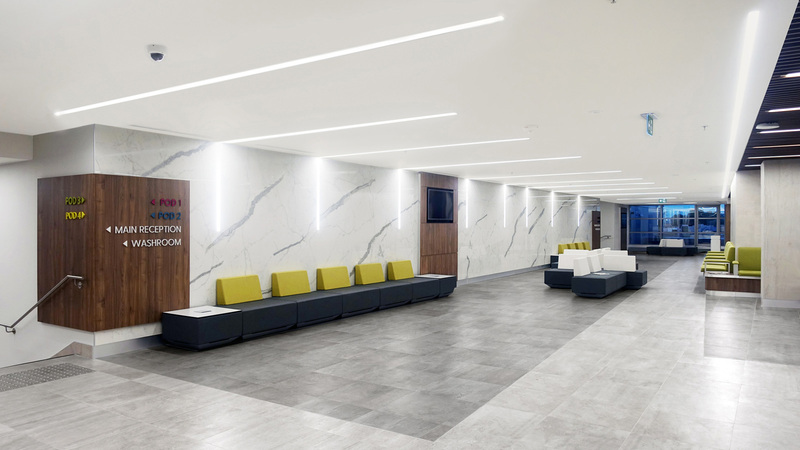 With regard to the finishes, the use of the state-of-the-art KRION® acrylic stone shows an aesthetic appearance which is hard to achieve with other materials, since its thermoforming ability allows for creating structures that are sought after. 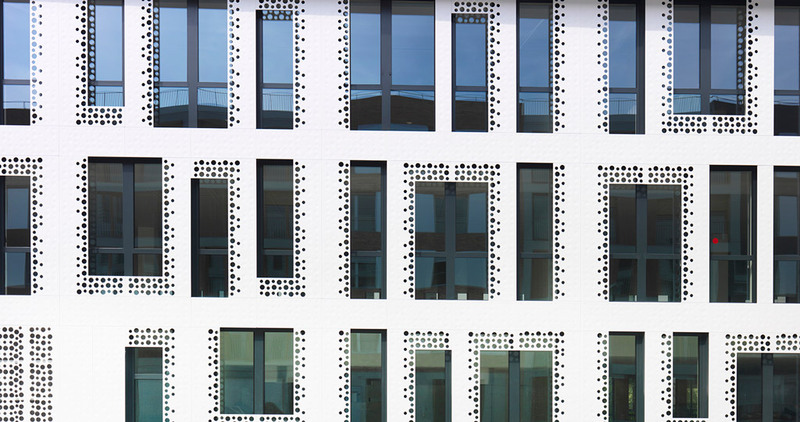 In this case, the building combines simple geometric shapes, such as rectangles and circles, to make the windows and little spaces for viewing, which discover the places of Nanterre from the inside. 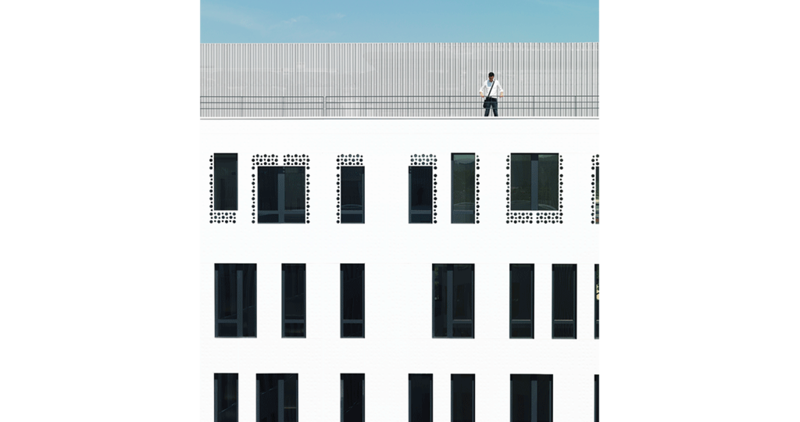 Additionally, the ultra-white colour of this material provides the façade with a high level of brightness, therefore, the building stands out wonderfully in its surroundings. It is worth mentioning that this project has a resistant unified exterior finish. 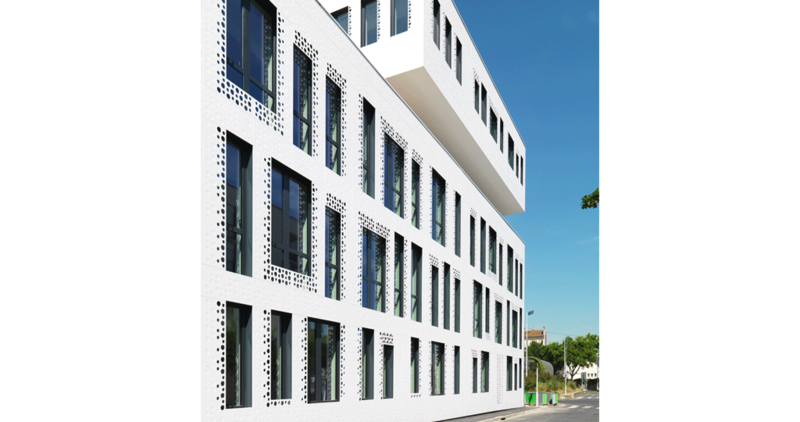 Furthermore, this ventilated façade system, a result of the collaboration between Butech and the Reichen & Robert & Associes studio, meets the most current demanding international standards in construction. In conclusion, this advanced outdoor covering system makes a building remain unaffected over the years, and also that the only thing visible for the human eye is its architectural magnificence.